Traton Homes invites you to join them for this year’s Cherokee Heights Arts Festival. Located near the Historic Marietta Square and Traton’s Montgomery Park community, the Cherokee Heights Arts Festival will be held on Saturday, Nov. 9 from 9 a.m. to 4 p.m.
A popular tradition since 2009, the Cherokee Heights Arts Festival is a great opportunity for residents to get a jump start on their holiday shopping. From jewelry to pottery to scarves and more, there are plenty of opportunities for you to get a unique gift for everyone on your list. In addition to the local vendors, attendees will enjoy live entertainment throughout the day and children will enjoy a kid’s art booth that features face painting and sand art. Sponsoring this year’s Cherokee Heights Arts Festival is a great opportunity for Traton Homes to get to know its neighbors and is just one of many great events that residents can attend throughout the year. Construction is well underway at Montgomery Park with 10 homes sold and an additional six Cobb County homes under construction. 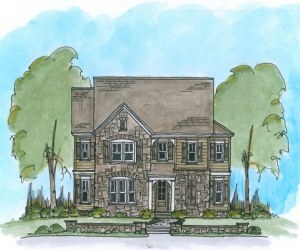 Homes at Montgomery Park are priced from the low-$300,000s. In addition to nearby Historic Marietta Square, Montgomery Park features a traditional neighborhood design that offers ample opportunities for residents to socialize with neighbors and spend time outdoors enjoying the mild Georgia weather. Highlights of the community include sidewalks, architecturally planned edge treatments and relaxed open spaces including a neighborhood park and dog park.